GCW emerged victorious at the 2018 Elifar Challenge making it three wins in four years for the retail agency team. 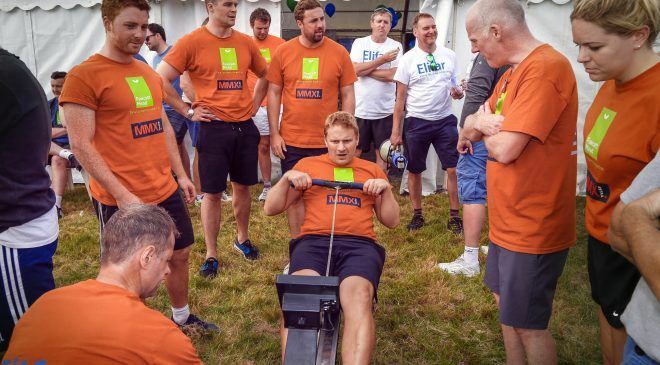 The Elifar Challenge is the retail property industry’s leading charity event and 24 teams took part in a day-long event competing for the coveted Elifar Challenge trophy. 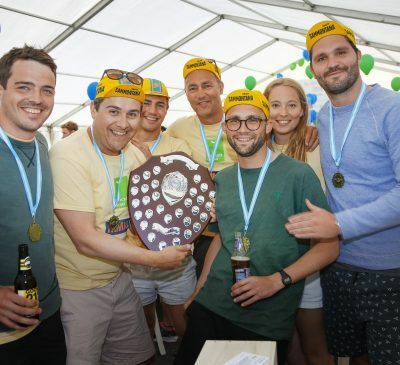 The fun event is a regular on the retail property industry’s calendar and is an opportunity to take part in a corporate activity day whilst raising money for a great cause. The Elifar Challenge is Elifar’s biggest single fundraising event and this year generated £65,000 for the charity. The money will go directly on grants to help purchase essential equipment for disabled children and young adults making an immediate difference to their lives. On the day, the teams competed against each other in a day full of mental and physical challenges. Teams of seven people competed in a range of activities, including tug of war, volleyball, table tennis, blindfolded drawing, and rowing. This 2018 teams taking part came from BNP Paribas, CBRE, Capital & Regional, CMS Solicitors, Colliers, Colman Architects, CWM, Ellandi, Fawcett Mead, GCW, Hammerson, HRH, Intu, JLL, KLM, Land Securities, Lunson Mitchenall, Marks & Spencer, M&G, MMX, Savills, Schroders/ JLL and Sherrards.